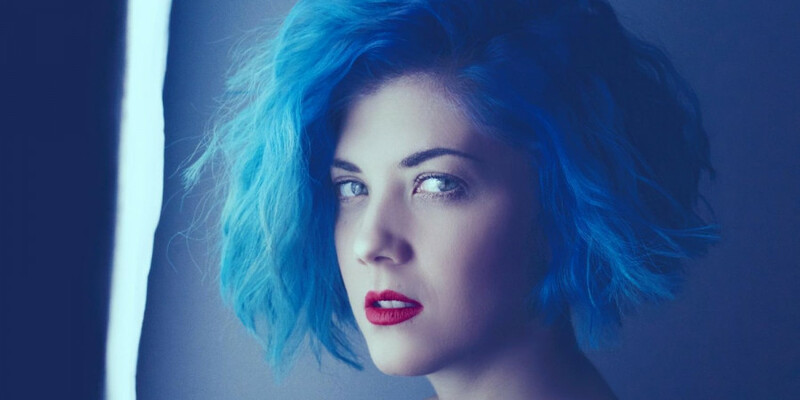 Pænda is a relatively unknown singer, until this morning where she was revealed as the Austrian representative at Eurovision Song Contest 2019 in Tel Aviv. She has been internally picked by the Austrian broadcaster ORF. Pænda was revealed by the radio host Eberhard Forcher today during the live broadcast of the morning show at Radio Ö3. Pænda's song for Tel Aviv is called "Limits", and will be released in a few weeks. Gabriele Horn (stagename: Pænda) is a 31-years-old electro pop artist living in Vienna, Austria. She is a singer, songwriter and producer, with a sound that incorporates pop with various elements of electronic music: Future bass, hip hop and trap are all woven together. Pænda is a "one-woman show". She writes and composes her own songs, she plays all the instruments herself, and she also produces her own songs. – When I was watching the Eurovision Song Contest on ORF in the past few years, I knew that if the opportunity presented itself, I would very much like to become part of it and compete for Austria. Music becomes a universal language, boundaries dissolve and it is shown that love is colorful, diverse and can not be classified in any drawer. The contest is a bridge builder that manages to unite different cultures and religions for a while. Now I'm allowed to sing for Austria and I am overwhelmed. It really means a lot to me to be part of this message to the world, says Pænda. Her first goal at Eurovision 2019 is to qualify for the final. When that goal is reached, she wants to go all the way to the top. Austria 2018: Cesár Sampson - "Nobody But You"
Austria has been participating in Eurovision Song Contest 51 times since it's debut in 1957. They won the competion twice: in 1966 (Udo Jürgens - Merci Chérie) and in 2014 (Conchita Wurst - Rise Like a Phoenix). They came last in the competition nine times (Zero points in 1962, 1988, 1991 and 2015). Since the introduction of Semi-finals in 2004, Austria only qualified for the Grand Final 7 out of 11 times.